Thank you so very much for your patience. We are pleased to inform you that we are shipping a generous VIP Box to cover May, June, and July subscriptions. As the summer heats up we are providing you with all the essentials for a bronzed and glowy look perfect for eyes, lips, and complexion! Define your eye lids with our top selling Precision Liquid Liner or use the Dualistic Liner in Azul for a dramatic and smoky effect. Full lips are a must have this summer and we have the perfect lip trio just for you! Line your lips with our Dualistic Lip Liner in the neutral shade L’Amour and fill in with our Hydra Plump Lipstick for a fuller lip effect. The color we chose for this box is Baby Doll because it’s the perfect shade for tanned skin. For added layers, add the Lip Creme on top to complete the look for your lips. Posh is a great color that can be used alone or on top of most lipstick colors we offer. Complete this look by applying our favorite summertime Sun Drenched Bronzer with the enclosed Powder Brush wherever your skin would naturally get kissed by the sun this season! For your skin it is important to hydrate, hydrate, hydrate, and that is why we included an Ultimate Hydrator as a luxuriously rich and gentle formula to comfort and hydrate your skin keeping your skin looking plump and youthful. As a twice-a-week maintenance we have included our Glow10ai Mask which is a must have for skin so healthy it glows! This multi-tasking mask is loaded with vitamin, anti-oxidants, and hydrators to give the skin a fresh and hydrated look. It’s important to let this mask dry completely for 5-15 minutes before peeling off. The mask should peel off effortlessly to reveal energized skin that will be envied by many. You’re vacation or staycation ready with this deluxe box that has been specially curated for you! 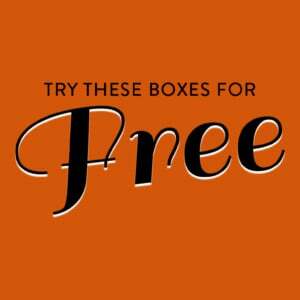 To summarize: Instead of a May, June, and July box, you will receive one box containing 3 months worth of products. 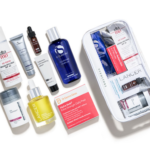 Check out our Le Metier de Beaute reviews to learn more about this subscription. I havent received the skincare box but my mom did. I’ve been stalking the mail man but still nothing. Might be time to contact their CS. I also got no bonus items and was missing the ULTIMATE HYDRATOR nor did I receive the Glow10ai MASK. UGH! What are they doing??? That is over $200 of products that they did not send. I hope they show up separately!!! Finally got my second box (skincare) today. Final verdict – despite missing the promised brush in the makeup box and the note saying that I hoped I enjoyed the bonus items, there was no bonus item in either box. Man, this was really a great sub until it fizzled out these last few months. I received the 2nd box with the skincare today and I’m hoping somebody can answer a question…the mask I received has a very thin almost runny consistency and both the mask (definitely the strongest of the 2) and the hydrator have a really strong chemical type smell, is that normal for both of these products? I use some of their skincare and makeup but none of it smells anything like this. Got a box from them today. A friend of mine received her box today. She got the three lip items and two eyeliners as well as the bronzer. She reached out to customer service about the missing promised items and was told that the powder brush would not be sent due to inventory issues, but that the skincare items are being shipped separately. I’m fine with not receiving the powder brush, I suppose. It looks like the value is there if we receive the other promised items. Thank you for posting this! I am missing the skincare items too. This made me feel better. Too bad they didn’t put a note in the box, like they did for the brush. Thank you! I was so excited when I received my box a few minutes ago and then I opened it…no skincare. I was pretty upset since I contacted them multiple times about the eyebrow pencil they left out of the last box and was completely ignored, I really do hope we’ll receive the skincare in a separate shipment. Has anybody received all the items promised? Just got my box. It had the slip with the “bonus” item not being there and apologizing for the inconvenience. Imagine if they would have mailed my subscription these past months, if I had inconveniently not given them the “bonus” payment. Right. Just letting you guys/gals know that I didn’t receive the skin care, either. I received a bronzer, gloss, lip liner, lipstick, liquid eye liner, and beautiful emerald eye liner. That’s it. I see that their site has those skin care items “in stock”, so there’s no excuse to not ship those to us. What a way to treat supposed VIPs. I am so confused by all this. I just got a box with no brush and no “bonus items” to make up for it. Am I misreading the slip? Are they instead saying that we got more than we should have already (after months of not hearing anything) and that they hope we are happy with what we got?? Were we supposed to only get one but not both of the eyeliners and they sent us both to make up for it. So many questions. Due to unforseen stock availability, the powder brush will not be included. We apologize for any inconvenience and hope you enjoy your bonus gifts. XOXO – lmdb. They are sending the skincare separately… not sure about the bonus gifts though, hopefully they will be with the skincare shipment! I received a shipment today from LMDB but only half the listed items were in the box. Liz….any word from Le Metier on our May-June-July delivery?? I see that they are having a three day 25% off summer sale. Received an email about it, and it’s also on their Instagram. Here’s an idea…take care of the VIP members that contracted with you before offering sale items to the public. Has anybody received the box? Or a shipping notification? I emailed them a couple of days ago asking if I was on the list to receive one since I had never received an email like other subscribers. They replied the same day and said that yes I was on the list and that the packages would be sent out with 9 items at the end of the month. Fingers crossed that it will happen. Sadly the company is going out of business. They were probably trying to figure out how to fulfill their commitment to subscribers with the remaining inventory. I haven’t received an email from them. I hope I do get the box that they are offering as the May, June, and July box. I just checked their website and the VIP program is listed but with “sold out” when I clicked the link. This year I did not receive any emails to renew so I suspected it was being discontinued. Last year, as well as years before, I received multiple emails during the renewal period. Curious if anyone here signed up/renewed for 2019. Even if they offered it this year it is too high of a risk being $348/yr knowing what we now know. True. I was really looking forward to trying out this sub, but even if they did open the sign up period for the next round, now I’d be way too scared to shell out that much money to them. I was pleasantly surprised when I received the email from them last night as I had written them off in my mind and took it as a loss. I’m glad to see they are taking care of us instead of just disappearing. I am glad to see they are going to send a box to finish the annual subscription. They have been so vague in all their correspondence and am assuming they are not offering a subscription in the near future. Does anyone know if this auto renews every year, or you to manually request another full year? I need to cancel and they haven’t answered me after reaching out via messenger and their help email address for over a month. When do subscriptions open?? I wanted to add this one! !